[dropcap] [/dropcap] The day after arriving in San Fran, we started off our morning at Noah’s Bagels before going to Fisherman’s Wharf. Stepping out into the San Fran weather took me back to the long gone Vancouver summer weather – chilly, breezy yet sunny for a t-shirt and jeans look. The pastry shop welcomed us with an aromatic fragrance of fresh and hot bagels out of the oven. I wasn’t sure what was good, but I wanted something that would fill me up other than the original bagels. 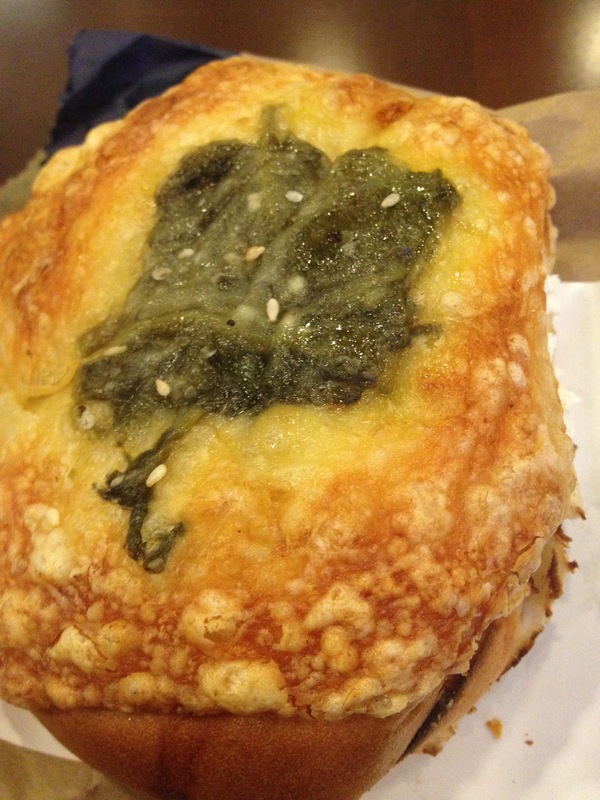 Hence I ordered a Gourmet Bagel – “Spinach and Cheese Bagel (USD3.30)” toasted with a thick and creamy spread of cream cheese in between. Perhaps it is my Chinese taste preferences but I couldn’t handle so much cream cheese, however it did help balance the dryness of the bagel. 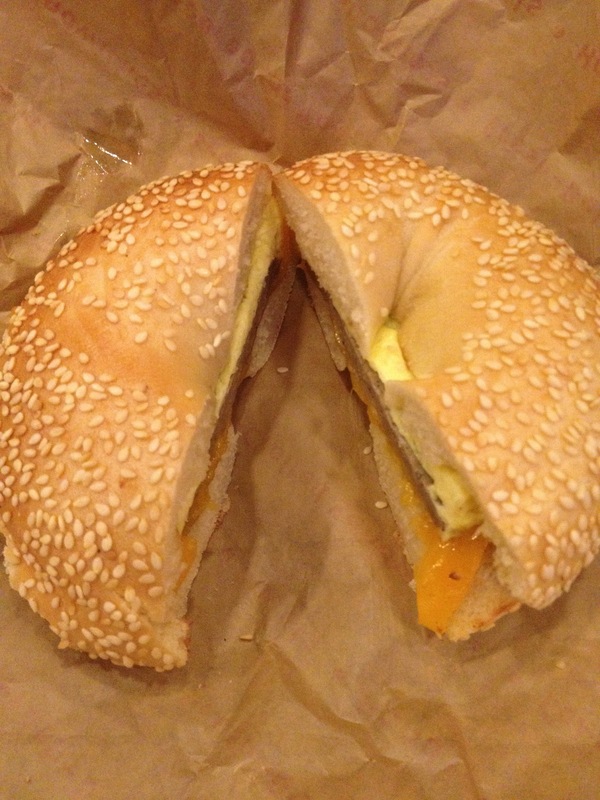 The other order we had was the “Turkey Sausage Cheddar All Day Breakfast (USD4.85)” with gently scrambled egg in between two pieces of warm toasted sesame bagels. The warm and juicy turkey sausage with a hint of melted cheddar was scrumptious and filling for a much needed breakfast.